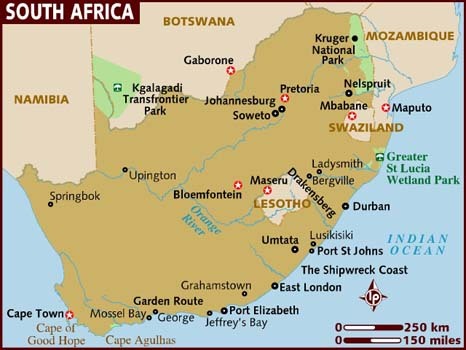 Every country in the world displays some diversity, but South Africa, stretching from the hippos in the Limpopo River to the penguins waddling on the Cape, takes some beating. It befits its position at the southern end of the world’s most epic continent, with more types of terrain than photographers can shake their zoom lens at. There’s the deserted Kalahari, Namakwa’s springtime symphony of wildflowers, iconic Table Mountain and Cape Point, Kruger National Park’s wildlife-stalked savannah (scene of the famous lion-buffalo-crocodile battle watched more than 40 million times on YouTube) and, running through the east of the country and into Lesotho, the Drakensberg. KwaZulu-Natal’s iSimangaliso Wetland Park alone has five distinct ecosystems, attracting both zebras and dolphins. Nonetheless, South Africans are some of the most upbeat, welcoming and humorous folk you’ll encounter anywhere, from farmers in the rural north who tell you to drive safely on those dirt roads, to Khayelitsha kids who wish you molo (‘good morning’ in Xhosa).